VoIP Services: How to Get Best VoIP service providers in India? VoIP today has evolved both commercially and technologically. One- third of companies and residences now are using VoIP services which is an unbelievable progress. VoIP is so popular amongst all because of the facilities they provide like, conference calling, call forwarding and so on. USA-making the most out of it and countries like Australia as well are enjoying VoIP services at it's fullest. VoIP is accepted by all and it's popularity is making it a budding business to be a part of or even own it! India being a country with one of the most migrants and maximum outsourced services and people are making the most out of VoIP services as well! However, you as a client must ask certain questions to find out which VoIP service Provider in India shall benefit you the most. 1. Can you provide with client testimonials and reviews? This is probably one of the only evidences for the fact that people have actually used that particular VoIP service. You would not want to get trapped by reading something that is not the true, ain't that true? Client testimonials and reviews are like the clients communicating their experience with the company's VoIP services they purchased. Reviews too are helpful as they rate the service and it definitely gives you a pictures, as a client as to how good the service is. 2. Do you have an active customer service/ support team? Another very important question is regarding how active their customer service is. There's no point in investing in VoIP service providers whose customer service is completely dead once you purchase their services. You need to purchase VoIP services of a company whose customer service is proactive enough to give you regular updates regarding the offers, updates or even when your service crashes down and so on. 3. Can VoIP service plans be switched from time to time? We, as customers, tend to buy VoIP service plans which are not too big ones. This happens for 2 reasons- either you don't trust your service provider completely or, you are unaware of your requirement! You need to be owning or looking out for VoIP service providers which are flexible. It does not make sense for you to own a service which is completely inflexible. So, look out for VoIP service providers which respect your fluctuations and are open to you changing your plans whenever you wish to. 4. Is there an industry benchmark as far as call quality and deliverability is concerned? 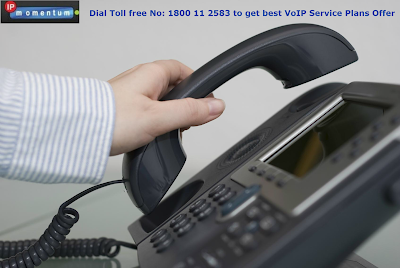 No VoIP service provider will guarantee you with 100% good call quality and deliverability. The ones who do, they are lying. Reason being, approximately, only 98% of regions can have good quality call services. It's all about your broadband service and the region you are contacting from and the region you're contacting at. 5. 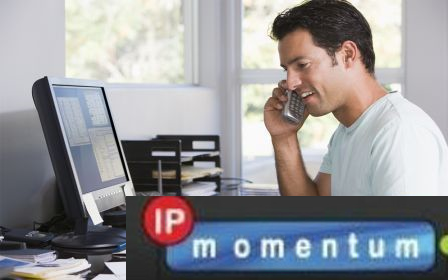 Are there any additional features provided along with VoIP calls? Irrespective of the reason behind you using VoIP services, additional features are a must. Yes, commercial and residential VoIP have different requirements with respect to the additional features. For instance, call forwarding may not be as beneficial for residential use as it will be for commercial use. On the other hand, video conferencing is a great option for both! Look at your additional features, see if the VoIP service provider is flexible to make changes. It depends upon individual- whether he wants to be content with what they get or what they want. Bottom line being, VoIP services are great. However, what may be great for you, may not be the best option for someone else. It completely varies from individual to individual. You as a customer must judge the VoIP service provider well and then purchase it. Because, what is the point of cursing VoIP just because you did not choose the right VoIP service providers in India? Have clarity with what exactly what you want, do your research, speak to multiple service providers and then go for the right one. Moreover, make it a point to verify every detail they specify to prevent any difficulties later.